Konami just announced that PES 2015 will be released on November 13. A playable PES 2015 Demo will be released for all platforms on September 17. PES 2015 is set for a late release on Novermber 13, Konami just announced. 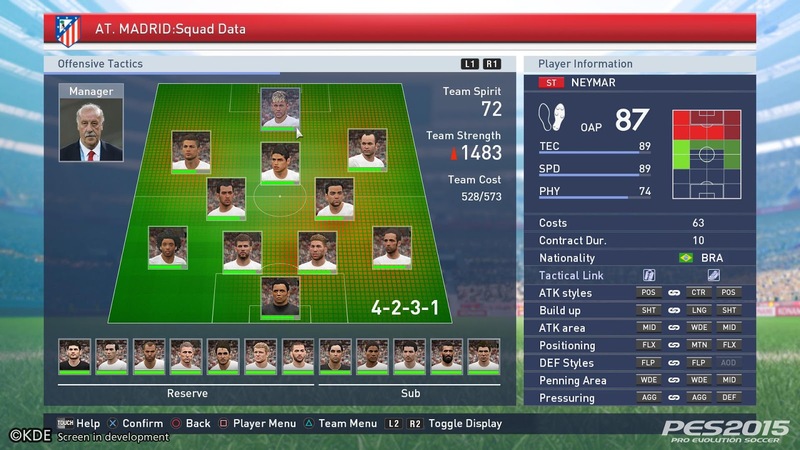 This shows Konami learned from last year when they released an unfinished PES 2014 in September, only to change the game heavily with updates throughout the year. Earlier today, Konami already revealed the PES 2015 cover star Mario Götze. The PES 2015 Demo will be released on September 17. Konami confirmed that the PES 2015 Demo will be available across all platforms at the same time. It will be possible for everyone to have a close look at the upcoming PES 2015 ahead of the November 13 release. PES 2015 will be released for Playstation 3, Playstation 4 Xbox360, Xbox One and PC. What do you think about the late release? Is it good to wait until the game is properly finished or is November too late?